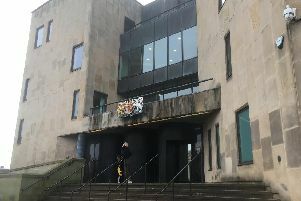 Appearing at Wigan Youth Court on Wednesday, the 15-year-old, who cannot be named for legal reasons, was handed a 12-month referral order and told to pay a £20 fine in connection with the collision on October 30 in Wigan Road, Leigh, which left three-year-old Leo Durrington with serious injuries. The teen had pleaded guilty to a single charge of being carried in a stolen vehicle. The 16-year-old driver, who has admitted causing serious injury by dangerous driving, failing to stop for police and to stop after a collision, driving without a licence and insurance, and a handling charge for the stolen van, will be sentenced shortly.